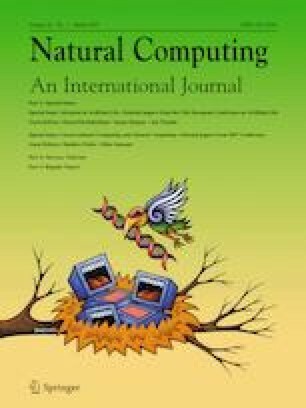 In this paper, it is presented a methodology for implementing arbitrarily constructed time-homogenous Markov chains with biochemical systems. Not only discrete but also continuous-time Markov chains are allowed to be computed. By employing chemical reaction networks as a programmable language, molecular concentrations serve to denote both input and output values. One reaction network is elaborately designed for each chain. The evolution of species’ concentrations over time well matches the transient solutions of the target continuous-time Markov chain, while equilibrium concentrations can indicate the steady state probabilities. Additionally, second-order Markov chains are considered for implementation, with bimolecular reactions rather than unary ones. An original scheme is put forward to compile unimolecular systems to DNA strand displacement reactions for the sake of future physical implementations. Deterministic, stochastic and DNA simulations are provided to enhance correctness, validity and feasibility. Chuan Zhang and Ziyuan Shen have contributed equally to this work. This work is supported in part by NSFC under grants 61871115 and 61501116, Jiangsu Provincial NSF for Excellent Young Scholars under grant BK20180059, the Six Talent Peak Program of Jiangsu Province under grant 2018-DZXX-001, the Distinguished Perfection Professorship of Southeast University, the Fundamental Research Funds for the Central Universities, the SRTP of Southeast University, and the Project Sponsored by the SRF for the Returned Overseas Chinese Scholars of MoE.